Integrated Web Manager System. Your Web Office. Take a Free 30 day Test Drive. No Credit Card required.Just a valid email address, that's all. One Web Manager System. It's all you'll need. 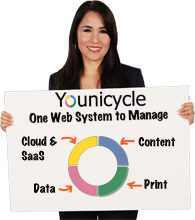 Younicycle is an integrated, comprehensive and collaborative Web Manager System that encourages a Company's Knowledge Workers and their Developers to work together as a Team. Simplified Web Tools help non-developers to immediately collaborate with technical, web developers. It's time to dust off those abandoned Projects, revisit important ideas and fulfill long held dreams. The Template Editor is being redone with with 10x the creative power. - Personalization of Content- Variable data Print design- PDF/VT- XMP EditAlong with a slew of new design features. Contact us for more. Cloud Manager - Work with the Cloud. Full integration with Google Apps! Data Manager - Integrated online database with streamlined tools for PostgreSql. Content Manager - Control your content, domains, SEO, analytics with wysiwyg tools. 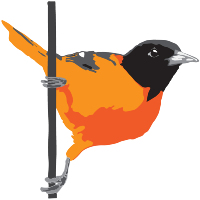 Vectoriole, the SVG Editor with Data Integration capabilities and variable data PDF creator, is now available for testing at http://vectoriole.com. Younicycle data objects (Tables, Datasources and Queries) can be loaded into this Editor for variable data output. Print Manager - Design Pdfs and variable data Reports online. Control costs.